Hey all, hope you’re enjoying the story. Just a few quick horn-toots and then I’ve got to get back to the drawing board. And a prize actually in the hand! 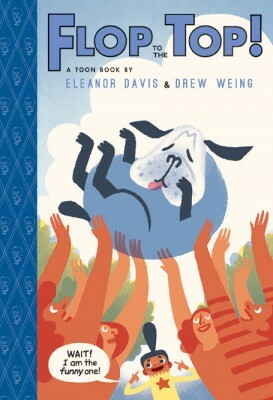 The kids book I made with Eleanor, Flop to the Top, won a gold medal from the Society of Illustrators! It’s my understanding you get an actual gold medal for these, so I look forward to hucking it at my enemies. Cheers, you deserve all the honour!